This Mudd and Water Drift Away dress uses a material derived from wood cellulose called tencel, which has a luxuriously soft feel while remaining vegan-friendly. Tencel is also well-suited to hot weather, keeping you feeling cool under the beating heat of the summer sun. 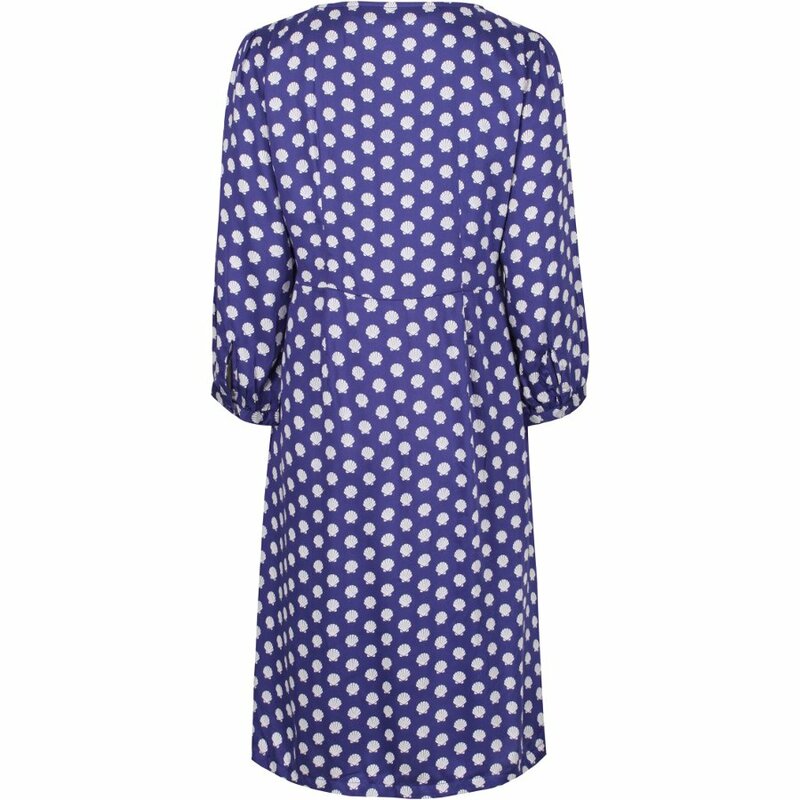 This dress is elegant enough for formal events, while also being laid-back enough for casual get-togethers – the perfect dress for the spring/summer season. The front of this dress has a gorgeous, flattering shape, as well as a soft scoop neck. Suitable for vegans. 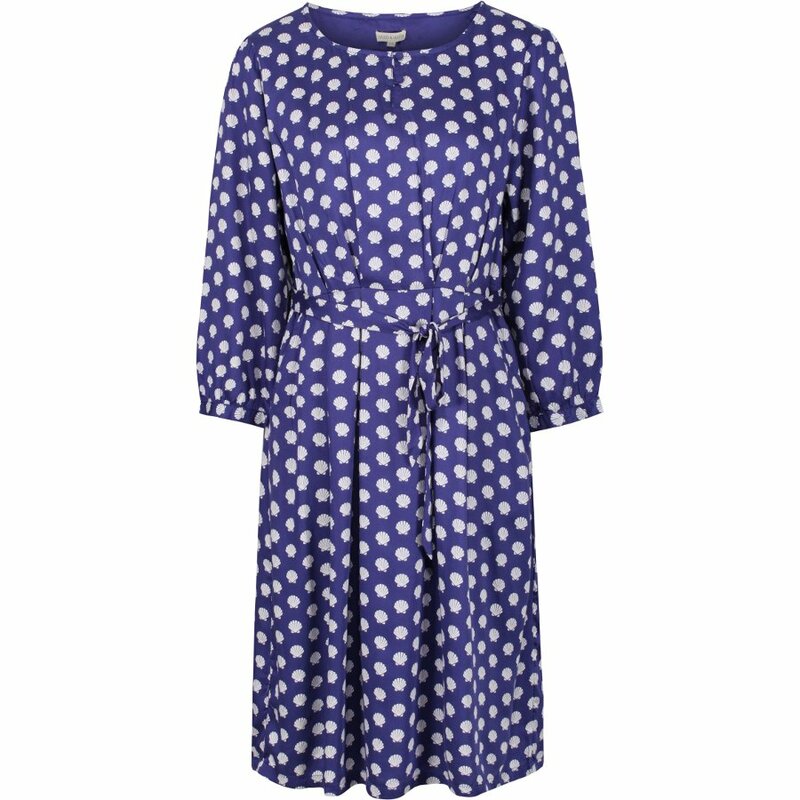 The Mudd & Water Drift Away Dress - Navy Shell Print product ethics are indicated below. To learn more about these product ethics and to see related products, follow the links below. 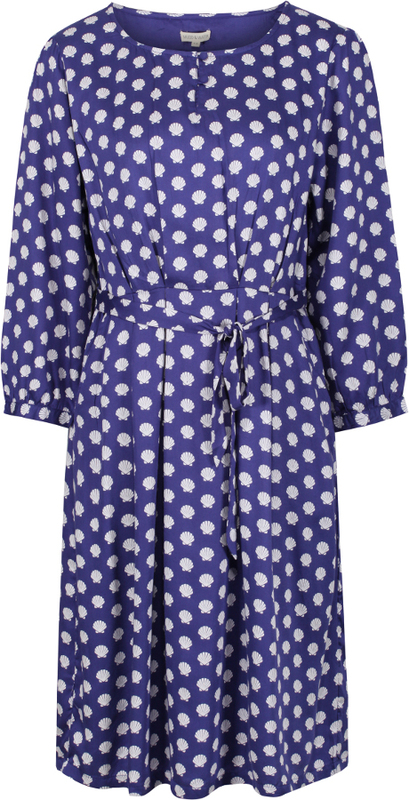 There are currently no questions to display about Mudd & Water Drift Away Dress - Navy Shell Print.